In order to overcome the many challenges ahead, SMEs in the Middle East and North Africa (MENA) are putting themselves on track to rethink strategies and welcome fresh initiatives when looking for top talents. At Bayt.com, we understand that attracting and retaining the right people is what you need to push your small and medium-sized business to flourish and grow. That’s why we work hard to design products and up-to-date solutions to ensure consistency all the way through the hiring process. Here are amazing and highly effective ways that will take your SME to the next level. If you want to find accomplished and qualified candidates you should build a solid hiring plan first. A Bayt.com product, Talentera offers you a one-stop recruitment toolkit that will support and drive your efforts all along the way. Our offer includes candidate user experience, applicant tracking, powerful CV Search, interviewing scheduling, recruiting analytics and so on. 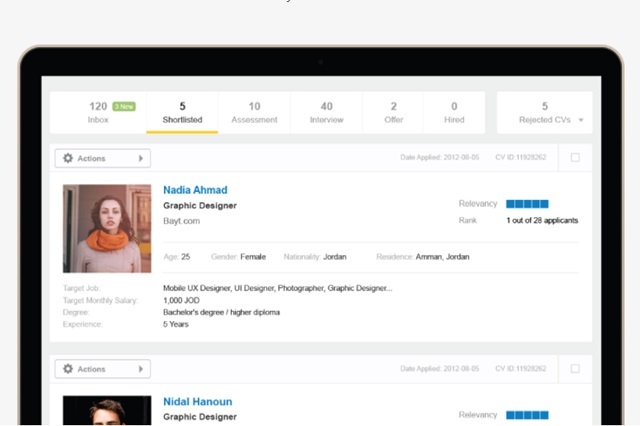 Such a combination of facilities will help you improve the candidate assessment and configure the recruitment process, but also gain insights to measure recruitment efficiency and understand your talent database. Wondering how to attract the most motivated employees for your job opening? The answer is pretty easy: describe it, as much as you can. Be clear about what your business is all about, putting emphasis on expectations, duties and rewards related to the vacant job position. In this way, not only you are explaining what people can expect if they join you, but you are also expanding your reach to those candidates that really matter to you. 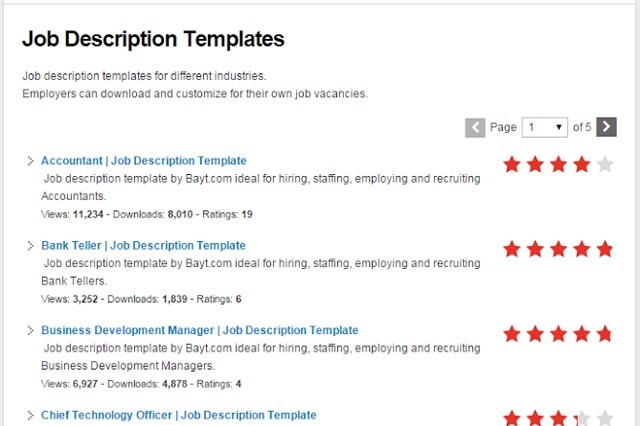 Bayt.com offers you a series of Job Templates to customize for your job vacancy and address your target hires. Your SME is much more than just your products and services. It’s also about values, visions, goals and milestones. Regardless of your company’s size and field, you need to communicate the ethos and highlight the perks that really set you apart. You can do that by sharing pictures and videos, making announcement of awards and reminding about the company history: in few words, opening the doors to your world. 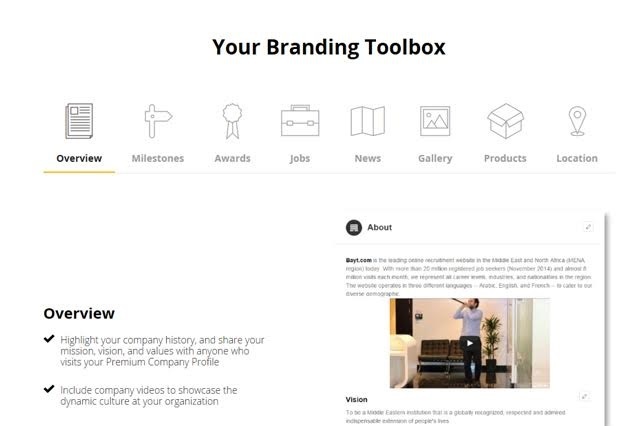 Bayt.com Premium Company Profile allows you to do so an even more, branding your company as employer of choice and attracting the attention of millions of active jobseekers in search of excellence. Having a solid understanding of the current scenario is imperative, and even more so if you are hiring for a SME. We are aware that this is a delicate step and we want to make your life easier providing you with a 360° view inside the salary landscape of the Middle East and North Africa (MENA). 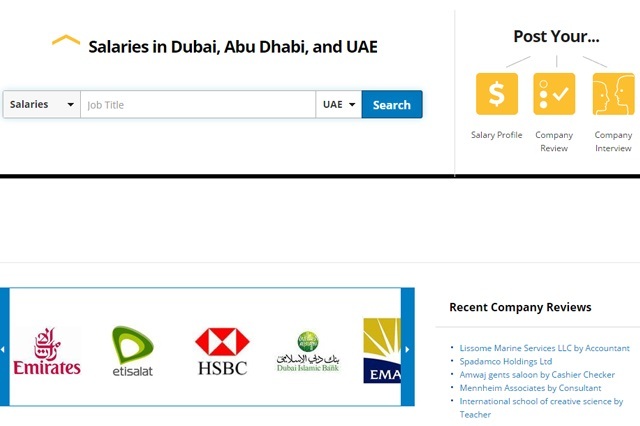 With Bayt.com Salaries you can have access to accurate salary and compensation details that will help you make confident decisions based on real-time data and stay top of game.